McKellen also wondered if any misconduct accusations might one day surface about him. “Well frankly, I’m waiting for someone to accuse me of something, and me wondering whether they’re not telling the truth and me having forgotten,” he said. 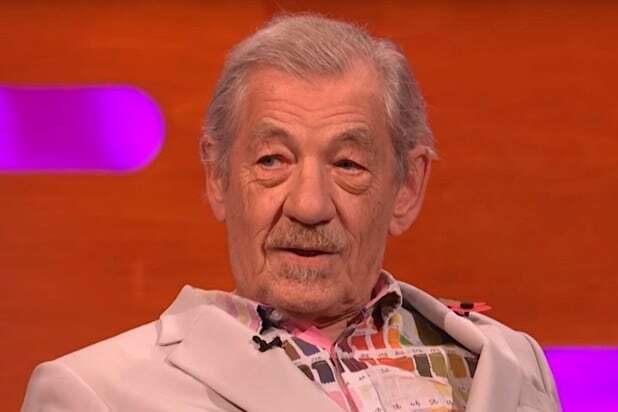 McKellen worked with Singer on the “X-Men” films and with Spacey when the former “House of Cards” star was the artistic director of the Old Vic Theater in London. Spacey is accused of groping and purchasing alcohol an 18-year-old boy at a bar in Nantucket in 2016, and he also faces other investigations into accusations of sexual misconduct in both Los Angeles and London. When accusations about Spacey first surfaced, he responded by coming out as gay, a move that was met with swift backlash. Watch the clip of McKellen via Facebook.